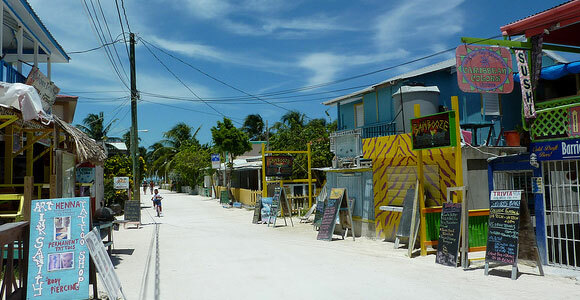 With all its tropical splendor, Caye Caulker is one of the must-visit destinations in Belize. 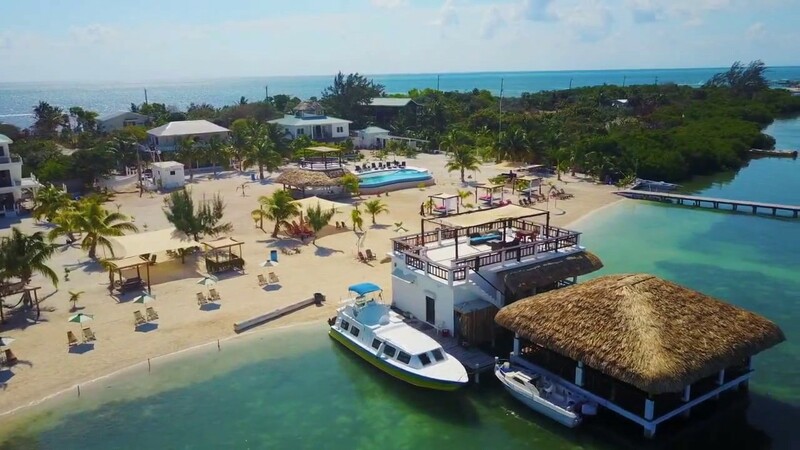 This small island off the coast of Belize in the Caribbean Sea has gorgeous beaches, a sandy beach and dense mangrove forests that are home to a diverse array of wildlife. There is no shortage of fun things to do on this small island. 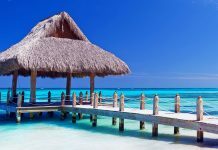 This guide is to give you advice so that you’ll be able to get the most out of your vacation. If you enjoy diving, there’s no better place to be. 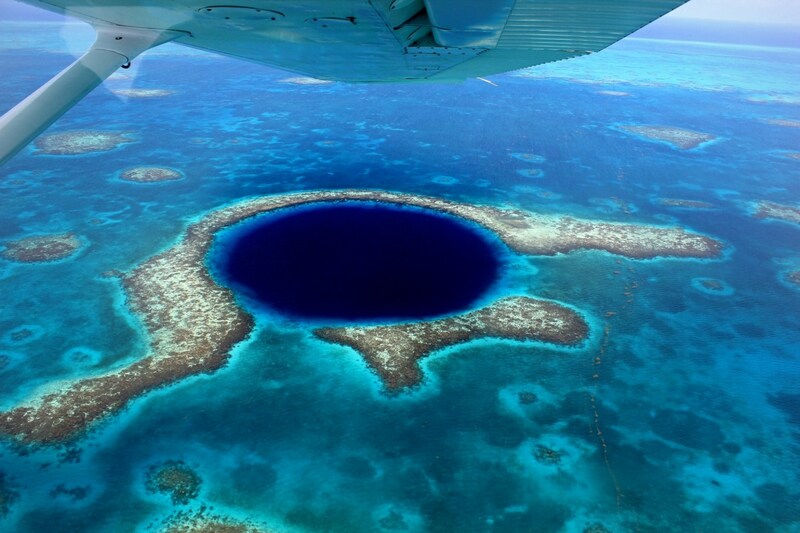 There are two main marine reserves – Hol Chan and Caye Caulker – that look out onto the Belize Barrier Reef. This may sound a bit dangerous, but it’s actually a lot of fun and one of the biggest draws to the island. 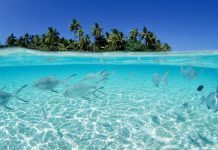 There are tour companies that provide full or half day options to the reefs around Caye Caulker. 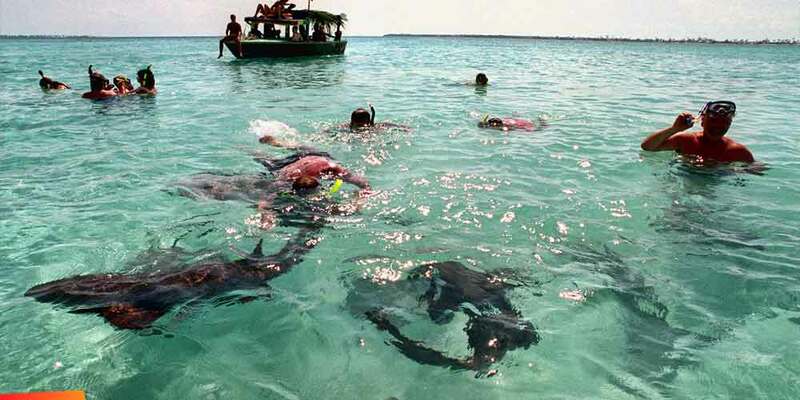 What wouldn’t be more exciting than swimming with Nurse Sharks, which are non-aggressive and quite friendly? 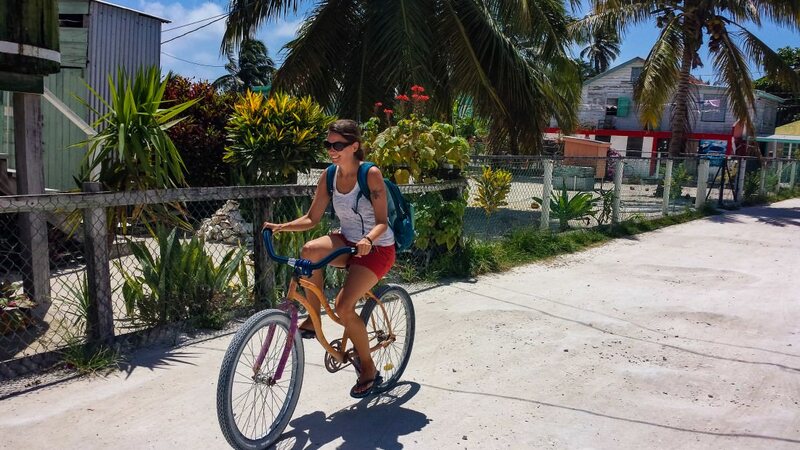 There’s no better way to do this than by hiring a bicycle and taking a day to see the sights. You can cycle to the Split (a narrow channel where the island is split in two by a small body of water) or walk through the mangrove forests. There’s also an airfield on the island and the largest conch wall in the world. This small village has the distinction of being the only settlement on the entire island. 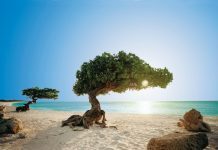 There isn’t a great amount to do here, although you’ll want to eat at some of the restaurants such as Wish Willy’s (home of the best barbecue on the island) or shop for souvenirs in the shops. Paying a pilot to take you on a flight out into the sea to witness this amazing sight is expensive but worth it. You must also have a minimum of three people in your party to take the flight, which costs approximately $200 ($400BZ) per person. 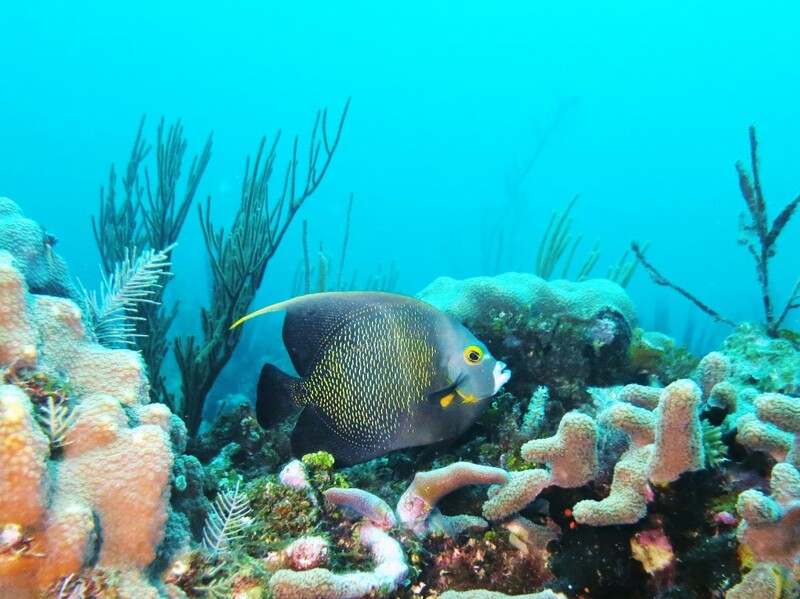 This mini reserve is located outside of the Iguana Reef Inn. If you would do something unique, observe the seahorses, eels, Queen Angel and French Angelfish that live there. The owner’s name is Eric. 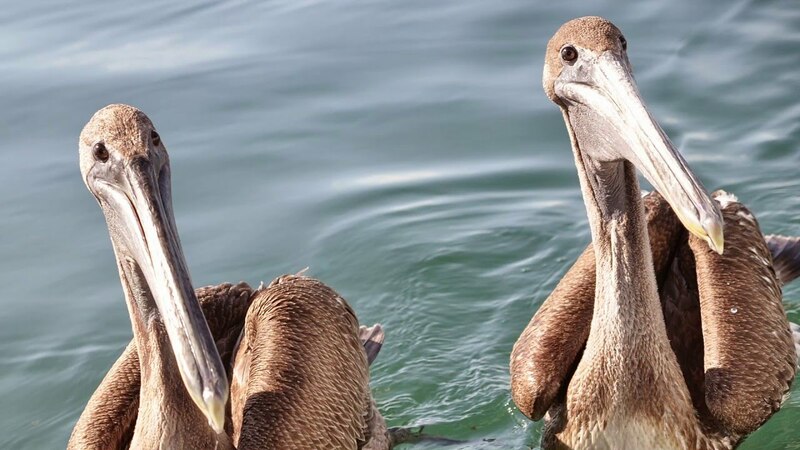 Nearby place to observe Brown Pelicans and Frigatebirds in their natural habitat. There are endless options for watersports on this little piece of paradise. 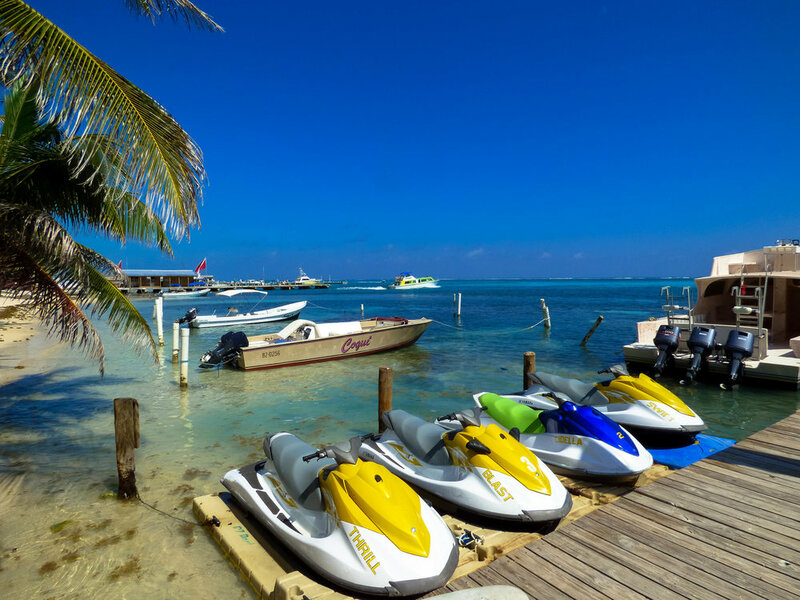 You can rent a jet ski or go windsurfing. Other great ideas include kiteboarding, parasailing, sea kayaking, and paddleboarding. There is a water taxi that leaves from the village to the other side (known locally as Koko King) every twenty minutes. When you get there, hang out with other tourists at the bar, grab a bite at the restaurant, or cool off in the swimming pool. This is a great place to spend a day. 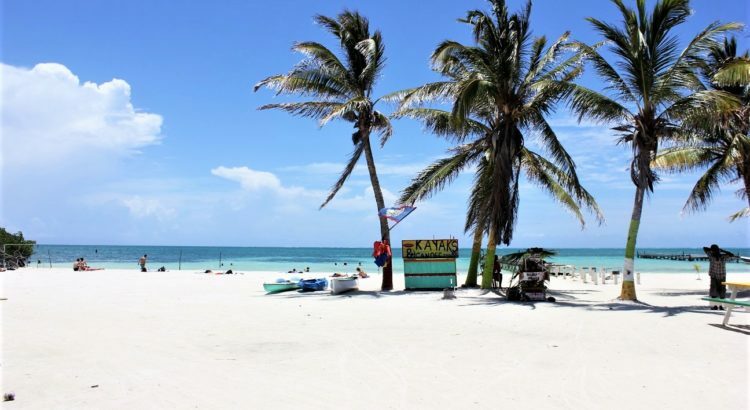 While the beaches on Caye Caulker are not as renowned as others found in Belize (and are not great for swimming), they are nonetheless pretty to see and walk along or do some boating. The best sandy beaches on the island can be found on the Split.